EURUSD is chiefly under the influence of Industrial Production report in the Eurozone. Now the support rests at 1.12280 with resistance at 1.12580 which both lines are above the monthly pivot point at 1.11890. The EMA of 10 is moving with bearish bias above the EMA of 100. The RSI is moving on the 50 level, the MACD indicator is in neutral territory and the Stochastic is showing downward momentum. 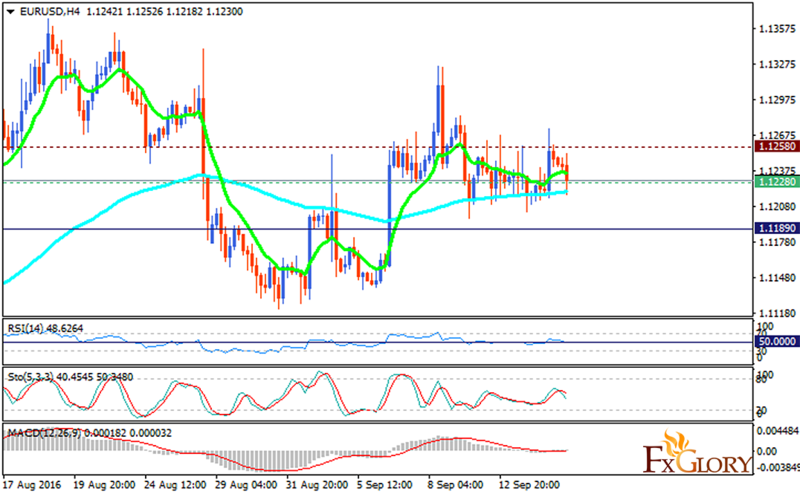 While sellers are waiting for the 1.11 area, the might be a price growth soon targeting 1.1270.